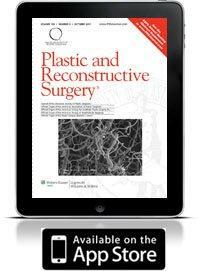 For more than 65 years, Plastic and Reconstructive Surgery® has been the premier journal for every specialist who employs plastic surgical techniques or works in conjunction with a plastic surgeon. The journal offers readers reports on the most current and innovative techniques for cosmetic and reconstructive procedures (including breast, hand, peripheral nerve, pediatric, craniofacial, burn, experimental) – as well as medicolegal issues and CME/MOC articles. The cosmetic section provides expanded coverage on new procedures and techniques. PRS uses the latest technology to deliver procedural videos and other digital items via the PRSJournal.com website and the iPad app. If you have trouble logging in, please contact the LWW help desk at 866-489-0443 for further assistance. Reintroduces an intimate, tactile relationship between the learner and the tools of learning. PRS is only the fourth surgical journal in the world to have app delivery and it has proven to be the most dynamic and feature-rich available.